In the shadows of the monstrous construction of the College Town complex and numerous chain establishments, the small stretch of Mt. Hope Avenue between Elmwood Avenue and I-390 has been a hotbed of independent restaurant activity over the last year or so. In the span of less than a mile, you can now find cuisines that run the gamut of American and global Americanized foods, as well as a selection of flavors from Southern Asia including Vietnamese, Cambodian, and even a small Indian spot. 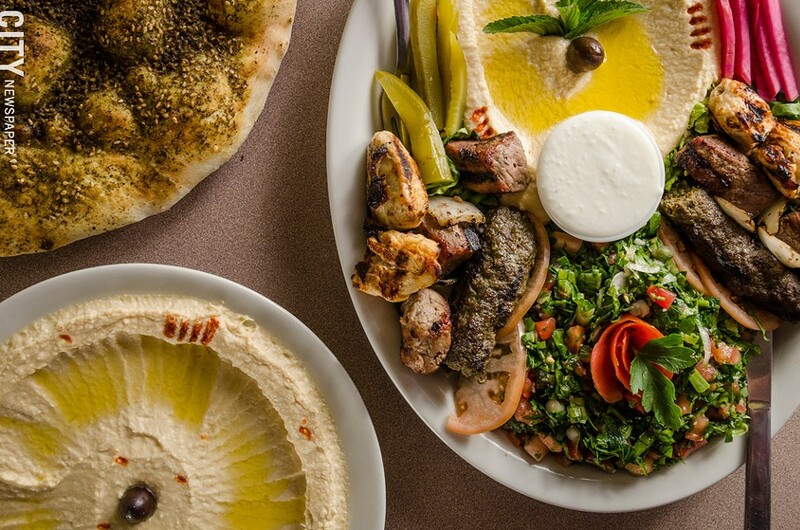 Sultan Lebanese Cuisine & Bakery is the Middle Eastern representative of the group. Mediterranean and Greek establishments are much more prevalent in our city which made me even more intrigued that Sultan was specifically focused on Lebanese food instead of tackling more well-trodden ground. At this point, I think most diners are familiar with hummus ($3.99) and baba ganouj ($5.49) dips; both are present on Sultan's menu and make good showings. The presentation of both is similar: an attractive pool of olive oil, a beautifully smooth texture, and a single olive on top. The hummus had a solid pop of acidity to go along with the nutty tahini and is now one of my go-to menu items. According to owner Elia Ghanatios, the eggplant is roasted daily for the baba ganouj. That effort comes through with a pleasant smoky flavor and goes along well with the undertones of garlic. A touch more salt could have brought it to the next level, but that smoke had me hooked and excited to try it again. Chickpeas also come to the table in the form of well-formed, crunchy falafel (appetizer $5.49, pita $4.99). As pretty as they were on the outside, the internals were drier than I would like and desperately needed to be paired with the tahini sauce, pickled cucumbers, and radishes that accompanies the appetizer plate. Grabbing a bit of cucumber and radish and a dollop of tahini allowed the falafel's seasoning and crispness to shine through and hide the dryness a bit. On the more traditional Lebanese side of things is the baked flatbread called manakeesh (ranging from $3.49 to $4.99). The heart of the baking operation is an open flamed, gas fired oven. The manakeesh, along with homemade pita style bread called samoun, is fired on the deck. 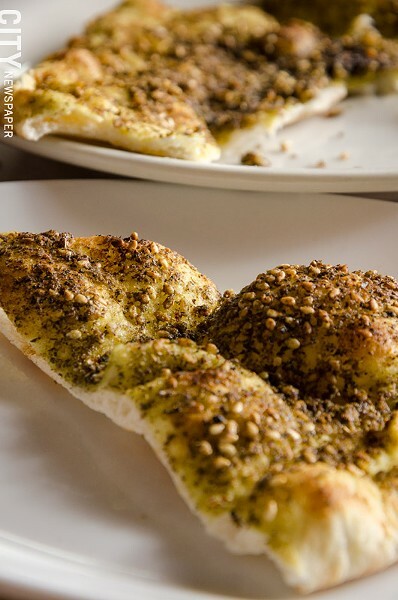 My personal favorite is the za'atar ($3.49), a ground spice mix popular in the Middle East) that comes accented with sour sumac and plenty of sesame seeds. The crust comes out with a great balance between chew and crispness and exemplifies what I love about bread right from the oven. The spice mixture complements the crust and has a pleasant nutty finish without being overpowering. Simple, but memorable and pretty fantastic. Sultan makes shawarma a key part of its menu and the vertical spit roasters covered with chicken and beef are prominently displayed behind the counter. My party and I tried both chicken ($5.49) and beef ($5.99) in pita form with some noticeable ups and downs. Although, time permitting, Sutlan does make its own pitas, the ones used with the sandwiches and for the dips were pre-made. Both pitas were warmed in a sandwich press prior to service which softened them but also took away some of the crunch from the greens and removed any temperature contrast from the veggies. 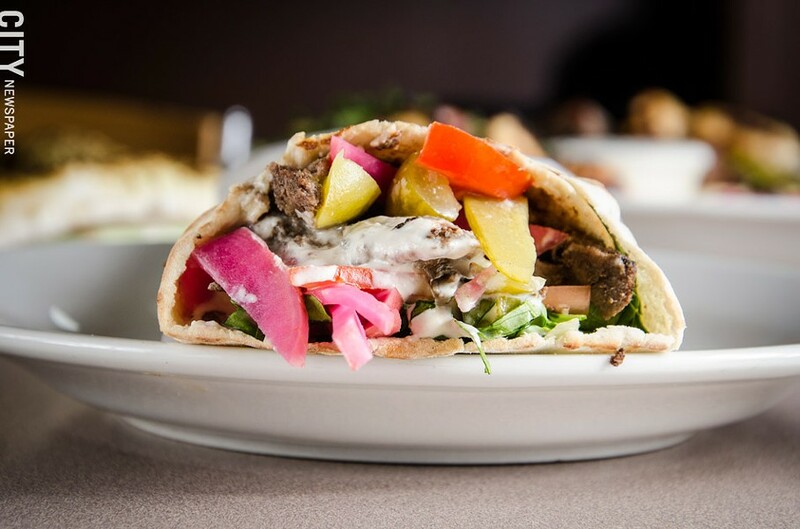 The beef pita was the more successful of the two, with assertive flavors in the seasoning of the meat (including sumac), the pickled toppings and the tahini sauce. The chicken was a touch on the dry and bland side and could have used more of the creamy garlic sauce to amp things up. I would have also liked to have seen chicken thighs on the spit instead of the breast meat. Mashawi Combo (tabouli, hummus, chicken, beef, kafta kebab skewers, and pickled vegetables). 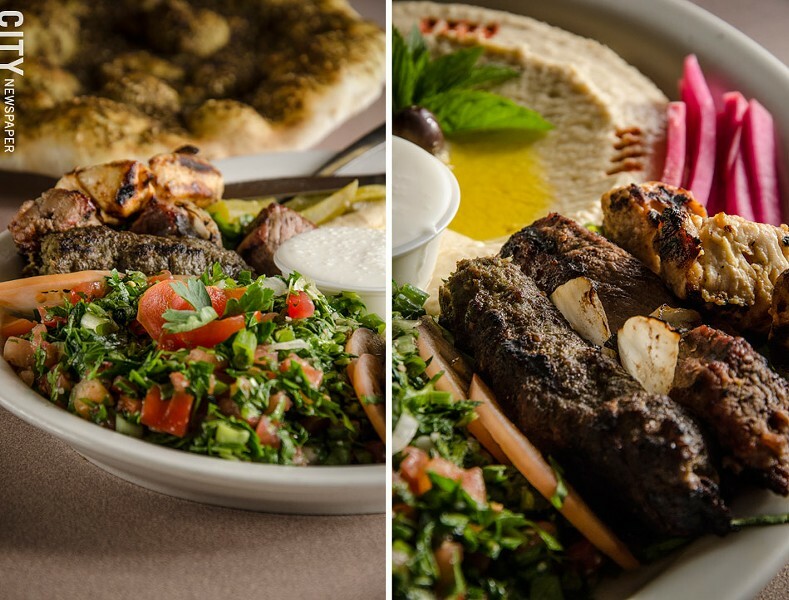 Switching over from spits to skewers, the mashawi combo ($13.99) covers the kebab side of the meat equation with a sampler of the kafta, chicken, and beef kebabs along with tabouli salad, tahini, and pickles. The garlic sauce marinated chicken breast was textbook perfect, offering exceptionally juicy meat to go along with the solid grilled flavor. I generally don't like chicken breast, but if most were cooked like this I couldn't say a bad word about it. In contrast, the beef kebabs were less successful and ended up on the dry side which appeared to be a function of cut as well as simple overcooking. Kafta kebabs consisting of ground beef and fresh herbs were juicy, well-seasoned, and had a pleasant warm finish from cinnamon and cloves. The tabouli salad was chopped to order and was impeccably dressed with bracing acidity. It was the perfect palate cleanser and one I'd highly recommend adding to your meal. Out of the dessert options, the basbousa ($2.49) — sweet, dense semolina cake with coconut soaked in syrup — popped as something new and worth trying. And when I say dense, I mean dense. The serving is divided into two pieces and one is more than enough to satisfy a strong sweet tooth. Baklava and rice pudding are also available for those not wanting to live the basbousa life. The decor and atmosphere aren't much to speak of, but every time I've visited Sultan, the people working are always legitimately concerned about making sure you are enjoying your food and experience. There is a real casual feel about the service with food coming out when ready, self-service drinks, and typically paying at the counter at the end of your meal. I love that kind of environment especially when combined with people who care about trying to put out a quality, fresh product at a reasonable price. Chris Lindstrom also runs the blog Food About Town. Read more at Foodabouttown.com.